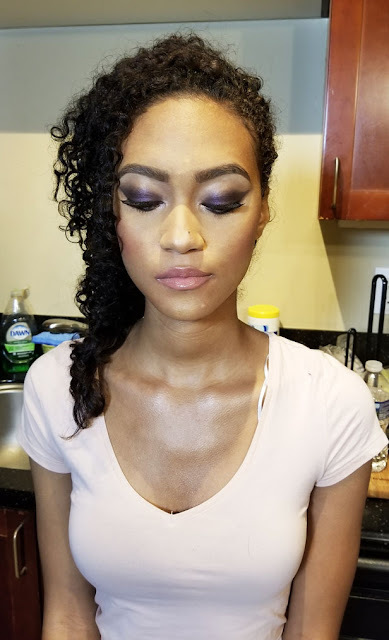 On Tuesday I showed you the first of two photoshoot looks I did for Estela Mag I started out with something fresh and glowy and in this look I went nighttime and smokey. Check it out! 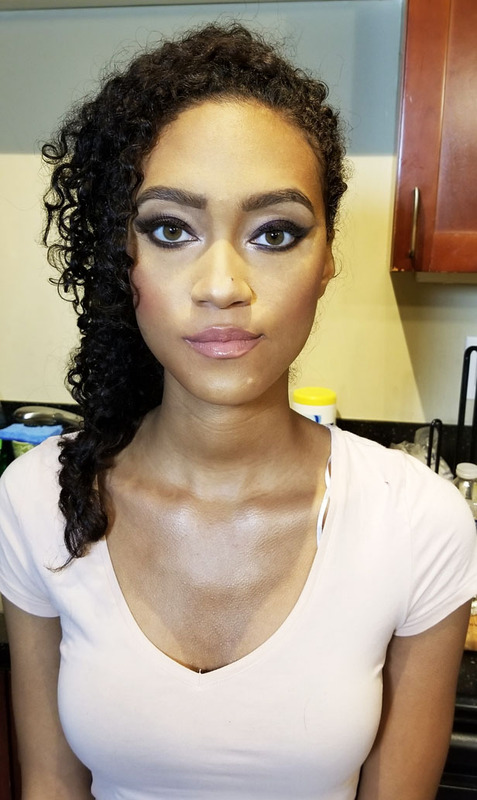 When I do a photoshoot makeup change, I try to start natural and then just add on top to change the look. That translates into quicker makeup application time. The emphasis was definitely on the eyes. I took a brown pencil liner and create a base on her eyelids in a winged shape. Then I topped it with a deep metallic purple. I also popped on a pair of strip lashes for extra emphasis. Next I took a bronzer and deepened her contour. Lastly, I added clear gloss to the lips to give it a slick look. Here's how the makeup look behind the scenes. Totally editorial and a quick and easy makeup change. Hope you guys enjoyed a sneak peak behind the look of my Estela Mag shoot!